Series like War And Peace, Borgia and Versailles have proved that there is a global market for lavish period dramas originated in Europe. And now Medici: Masters of Florence, featuring Dustin Hoffman, looks set to join this list of successful shows. Produced by Lux Vide in collaboration with Big Light Productions and Wild Bunch, the show was commissioned by Rai in Italy and is distributed internationally by Wild Bunch TV (except in the US, where WME is handling sales). This week, Wild Bunch announced a slew of Medici sales to SFR/Altice Group (France, French-speaking Belgium, Luxembourg), Sky (Germany), SBS (Australia), eOne (New Zealand), Sony Pictures Television (Latin America), DBS (Israel), VRT (Belgium), Canal+ (Poland), LRT (Lithuania), RTV (Slovenia), RTVS (Slovakia), Canal+ Overseas (French-speaking Africa), Hulu (Japan), Georgian Public 2 Broadcast and BTV (Bulgaria). This follows a previous sale by Lux Vide to Telefonica/Movistar+ (Spain) and news of a second series commission by Rai. 20 years ago, shows like these tended to end up ponderous and stilted, earning the ‘Europudding’ epithet. The main problem was that too many partners had a say in the creative direction and casting. These days, backers have learned to put greater faith in the hands of the storytellers – and have benefited as a result. In Medici’s case, the series is written by Frank Spotnitz, whose credits include series like The X-Files and The Man in the High Castle, and Nicholas Meyer (Houdini, Star Trek: The Wrath of Khan). Medici is set in 15th-century Florence, the city that will host its world premiere on October 14. The eight-part show features Dustin Hoffman as Giovanni de’ Medici, the patriarch of the Medici family who is found dead in mysterious circumstances. 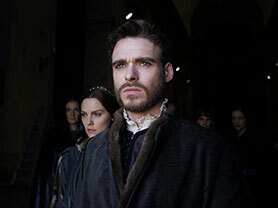 His sons, Cosimo (Richard Madden) and Lorenzo (Stuart Martin), are forced to face a range of enemies plotting to oust the Medici from power. Shot entirely in Tuscany, the series depicts the foundations of one of the most profound financial, artistic and scientific awakenings the world has ever known: the Renaissance. 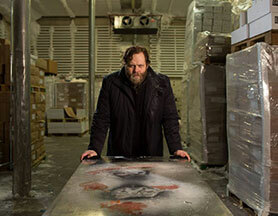 More good news for the European production business this week is the news that RVK Studios, Icelandic national broadcaster RUV and Dynamic Television have announced that Baltasar Kormákur’s Icelandic crime series Trapped has been renewed for a second season. Widely praised by critics, the series attracted a strong audience during its 10-episode run earlier this year. In the UK, the series premiere on BBC4 reached more than 1.2 million viewers. In France, episodes one and two attracted more than 5.7 million viewers on France 2. Audiences averaged more than 500,000 viewers for NRK Norway, while 86% of television-owning homes in Iceland tuned in. The show is also soon to air on ZDF in Germany. Klaus Zimmermann, managing partner of Dynamic Television, which distributes the show, said: “Audiences overwhelmingly responded strongly to the thrilling drama and powerful characters and they will find the next season every bit as gripping.” Trapped stars Ólafur Darri Ólafsson, who has also appeared in The Secret Life of Walter Mitty and True Detective. It is written by Sigurjón Kjartansson and Clive Bradley. We’ve written a lot in the last year or two about talent being parachuted into TV drama from film, theatre and publishing. This week, we were reminded of another source of inspiration, following the news that Carnival Films is developing a drama based on Alex Gibney’s feature-length documentary Zero Days, which premiered at the Berlin Film Festival in February. Written and directed by Gibney, Zero Days is a documentary thriller about warfare in an arena without rules – the world of cyber war. The film tells the story of Stuxnet, a self-replicating computer malware that the US and Israel unleashed to destroy a key part of an Iranian nuclear facility, and which ultimately spread beyond its intended target. It’s a comprehensive account of how a clandestine mission hatched by two allies with clashing agendas opened forever the Pandora’s Box of cyber warfare. The drama (whose working title is Stuxnet) will be written by Stephen Schiff, who has been a writer/producer on FX’s acclaimed scripted series The Americans since the second season. Gibney directs and will also produce alongside Marc Shmuger. Nigel Marchant, David O’Donoghue and Gareth Neame are exec producing for Carnival. Participant Media will executive produce while NBC Universal International will distribute the series. Film buffs in the audience will note that all three of the above scripted series are directed by talent that is better known for feature-film work. In addition to Gibney and Kormákur, Medici is directed by Sergio Mimica-Gezzani – whose credits include Catch Me If You Can, Saving Private Ryan and Minority Report. 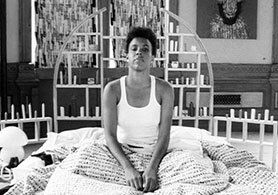 Continuing with this theme, SVoD platform Netflix is partnering with feted director Spike Lee on a drama based on his 1986 film She’s Gotta Have It. The show will follow a Brooklyn-based artist who juggles her time between her friends, job and three lovers. Lee will direct all 10 episodes of the show, which was initially in development with premium pay TV network Showtime. Looking beyond the usual suspects in the TV drama business, Keshet International (KI) has picked up global distribution rights to Croatian crime drama The Paper and will be promoting it at the Mipcom market in Cannes next month. The 12×50′ show, produced by Croatia’s Drugi Plan, is set in the offices of a newspaper and explores political corruption, power struggles, crime and betrayal.